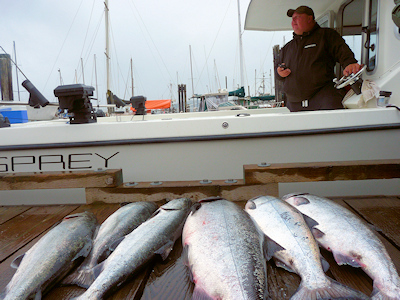 Haida Fishing Charters. 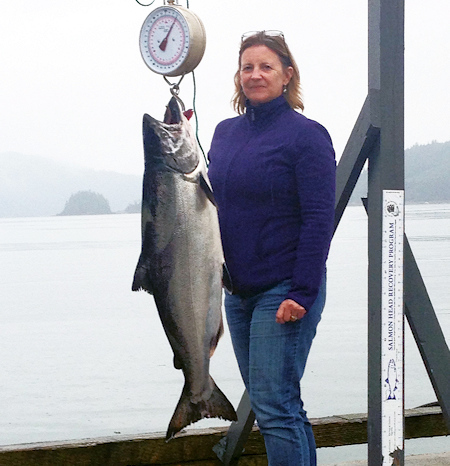 Fully Guided Salt Water Fishing Charters of Haida Gwaii, Queen Charlotte Islands. "Experience Haida Gwaii with Haida Guides!" Haida Gwaii "Islands of the People", formally known as the Queen Charlotte Islands, rich in Haida culture and tradition and home to Haida Fishing Charters. 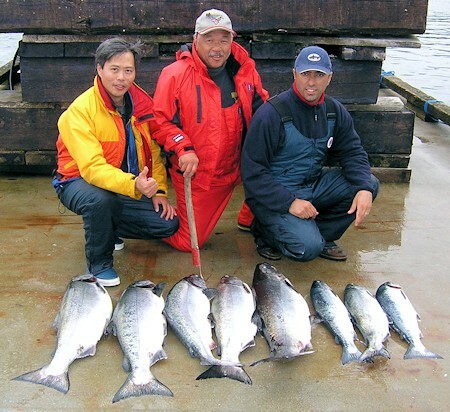 At Haida Fishing Charters, we offer you a authentic fishing experience that you will never forget. We provide knowledgeable Haida guides with a reliable, seaworthy boat for the salmon fishing adventure of a lifetime. 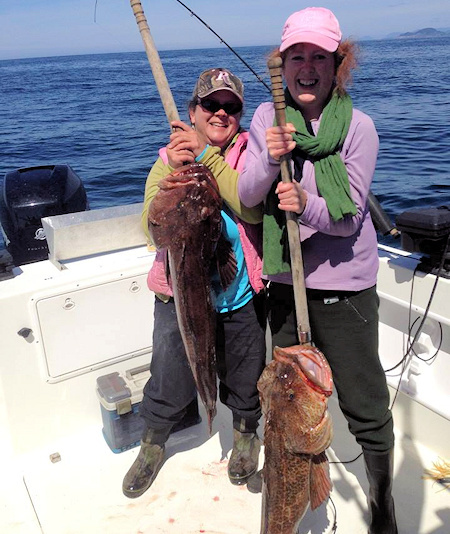 Haida Gwaii boasts some of the best salt water fishing charters anywhere! 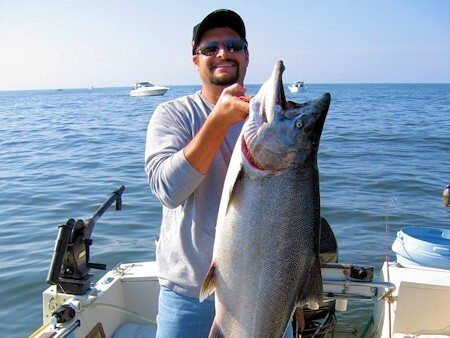 Pacific Salmon of all species, along with king sized Halibut and cod...are just some of the catches you'll reel in. 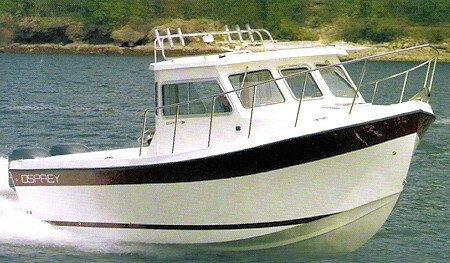 All trips last 8-10 hours, and are weather and tide dependant. 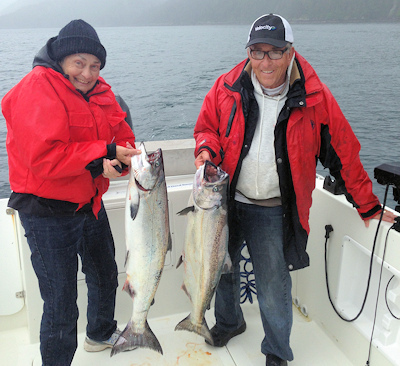 Haida Fishing Charters is one of few Haida owned and Haida Guided fish charter companies based out of Skidegate, Haida Gwaii. Come fish in the comforts of our 26 foot covered Osprey "Haida Venture"with on-board washroom facilities for your comfort. Our guides are Haida who will tell you about the rich history of the Haidas, the old fishing sites and if the weather is right can stop to look at the mosquito pole in the old Ts'aahl village. 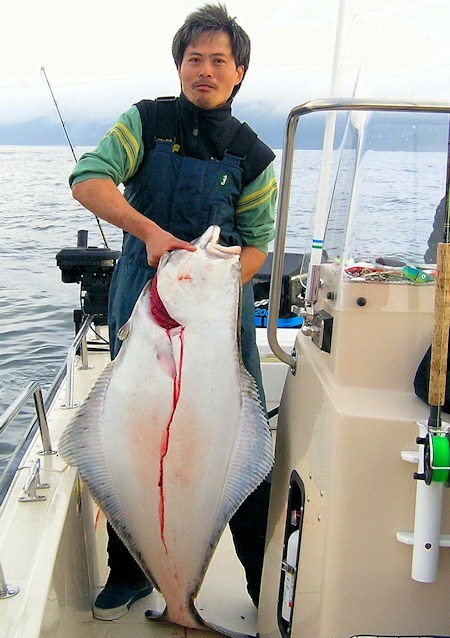 While fishing with us you will get the chance to fish for chiina (Salmon of all species), and possibly Xaagu (halibut) and K'uust'an (crab). 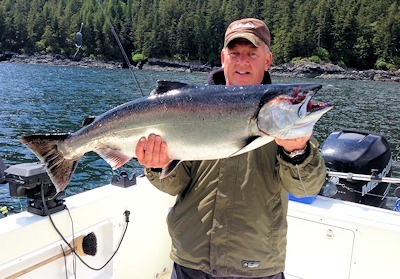 Haida Fishing Charters provides experienced Haida guides with safe, reliable, fully equipped boats for the salmon fishing adventure of a lifetime! "Experience Haida Gwaii with Haida Guides." 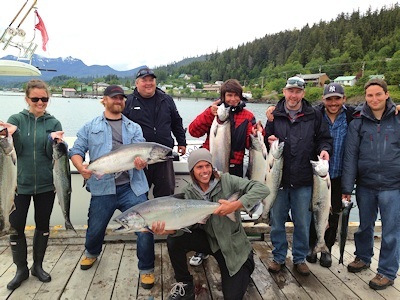 Come and experience a world class authentic indigenous experience with Haida Fishing Guides! If you have any questions or want to know more information please do not hesitate to call our office or email us. We are happy to help! 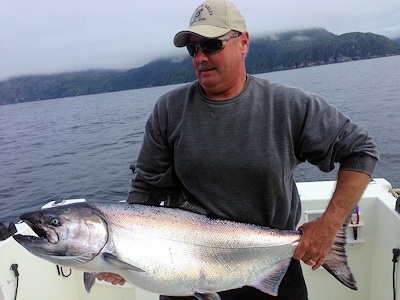 Haida Gwaii Fully Guided Salt Water Fishing Charters. Experience Haida Gwaii with Haida Guides! 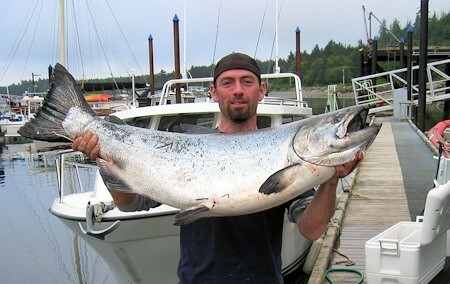 Call Haida Fishing Charters today.